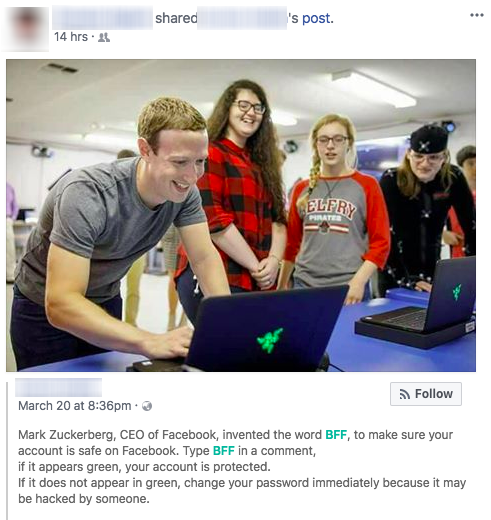 Does the Green BFF Comment Really Mean Your FB Account is Safe from Hackers? It’s fake guys, Mark Zuckerberg ain’t got time for that! 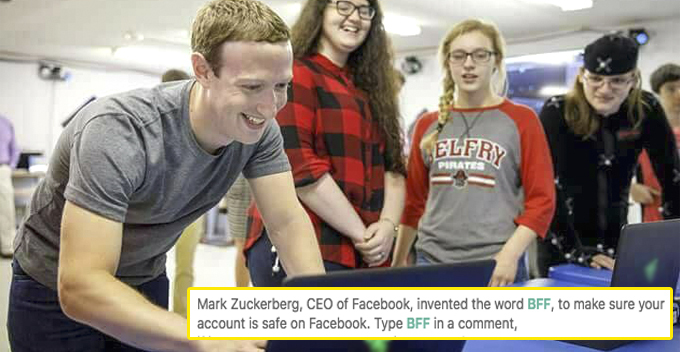 For the past few days, a post has been circulating on Facebook saying how Mark Zuckerberg has invented a security system to identify whether your account has been hacked, and the keyword to run this system is – BFF. Yes, we’re talking about this post. As funny as it sounds, netizens worldwide actually fell for it and commented ‘BFF’ in the comment section as instructed. They were relieved after their comments turned out to be a green hue. 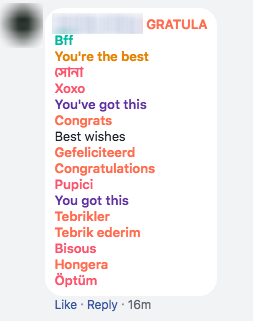 Many also shared the post thinking they’re doing a favour for their friends. 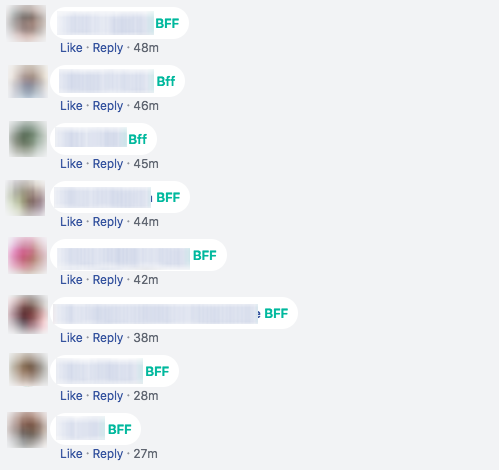 Smart social media consumers would know it’s a hoax right off the bat because after typing ‘BFF’, the only thing that pops out is the animation of two hands giving each other a high-five. There’s no message from Facebook telling you that your account is safe whatsoever after the text comes out in green. 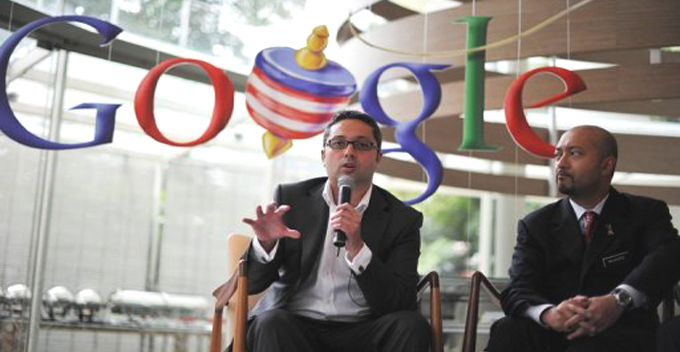 So guys, spread the word and let your bffs know about this hoax!